With the development of industrialization, urbanization and modernization, there is a great deal of construction waste every year. According to incomplete statistics, the country produced around 1.7 billion tons construction waste every year in 2011-2015 period, and somebody predicts that the quantity of construction waste will be 1.9-2.2 billion tons every year in 2016-2020 period. The utilization rate of transforming from waste to resources is less than 5%, which is different from developed countries obviously. Construction waste takes an adverse effect on ecological environment and badly affects people’ life, so it is necessary to transform the construction waste to resource by adopting advanced technology. In fact, the processed construction waste can be used in brick making, cement and mortar, etc. industries, which increases the utilization rate of waste. Either stationary crushing line or mobile crushing line, PE Jaw Crusher can be used in it for crushing construction waste coarsely. Construction waste usually includes concrete, brick, metal, plastic and wood, so it is difficult to process it because of its complex component. 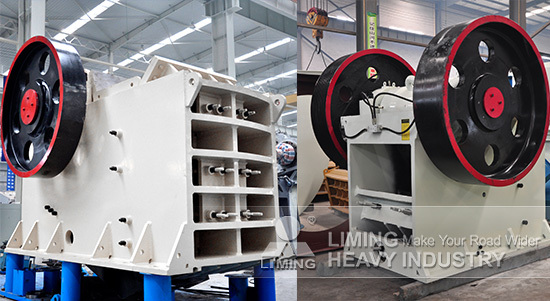 However, PE Jaw Crusher with a big feed opening crushes materials by squashing, and it is propitious to removing iron and classifying materials by chopping concrete iron. Besides, PE Jaw Crusher with many kinds of models can be used in mobile crushing plant, and according to incomplete statistics, PE Jaw Crusher or Mobile Primary Jaw Crusher has the proportion of 80% in construction waste processing project. Not only can Jaw Crusher crushes construction waste, but also it crushes iron ore, copper ore, gold ore, manganese ore, river stone, gravel, granite, basalt, minerals, quartz, diabase, etc. If you want to get more details about Jaw Crusher, just contact us right now.